Are you like our good friend Timmy J and already tired of all the Tour this, Tour that? If you are, fortunately there are some other big bike races going on this weekend that involve a number of cyclocross stars current and in Johnson’s case, Masters. The 10-stage Giro Rosa stage race in Italy kicked off on Friday, XCO mountain bikers are also in Italy for the next round of the UCI World Cup at Val di Sole on Sunday, other dirt shredders are closer to home in British Columbia for the BC Stage Race mountain bike race and domestic road racers are in Arkansas for the three-day Natural State Criterium series. We take a quick look at each race and how to follow them this weekend and over the following week. The 10-stage Giro Rosa is considered the biggest stage race on the UCI Women’s World Tour. The 10 stages of the 2018 Giro Rosa are located in northern Italy. Racing started Friday with a team time trial and continues through Sunday the 15th. The stage many folks are looking at is Stage 9 next Saturday that finishes atop Monte Zoncolan in northeast Italy with a climb that averages nearly 12% over 10km. Last year’s winner Anna van der Breggen (Boels-Dolmans) will not be back to defend her title. She will be in Italy this weekend, but the Dutch cyclist will be racing at the Val di Sole XCO UCI World Cup. Marianne Vos, who is coming off a podium at Dutch Nationals, returns to the Giro Rosa for the first time since winning the stage race in 2014. Another win will put her one shy of Fabiana Luperini’s record five GC wins. Pauline Ferrand-Prevot finished second behind Vos in 2014, but she will be racing for the Canyon-SRAM team in Val di Sole as well. A number of other women who race cyclocross will be making the start. 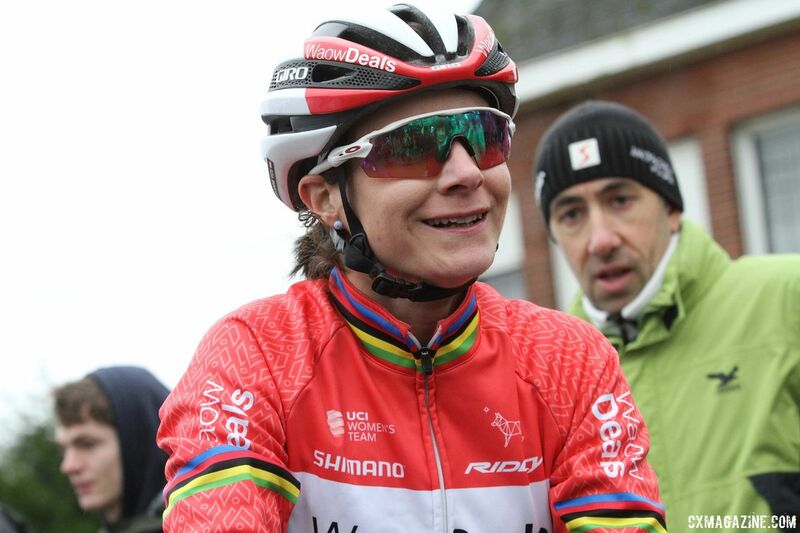 The list includes (but is not limited to) Christine Majerus (Boels-Dolmans), Alice Marie Arzuffi (Bizkaia Durango – Euskadi Murias), Lucinda Brand (Team Sunweb), Suzanne Verhoven (Eurotarget – Bianchi – Vitasana) and Hannah Payton (Trek-Drops). The full start list is available here. Coverage of the Giro Rosa has historically been lackluster. One-hour recaps for each stage should be available from PMG Sport. The fourth stop of the 2018 XCO UCI World Cup is also in Italy at Val di Sole on Sunday. The last World Cup at Nove Mesto featured a battle for the ages between Annika Langvad (Specialized) and Jolanda Neff (Kross Racing), who have combined to win the first three races of the 2018 series. Langvad got the best of Neff in the Czech Republic, and she enters Sunday’s race at the top of the overall series standings. Ferrand-Prevot also had an impressive race at Nove Mesto, and she will be wearing bib number 3 on Sunday. One rider who has impressed in the World Cups thus far is Germany’s Elisabeth Brandau. Brandau, who finished fifth at Cyclocross Worlds in Valkenburg-Limburg, currently sits in the top 10 for the World Cup rankings. 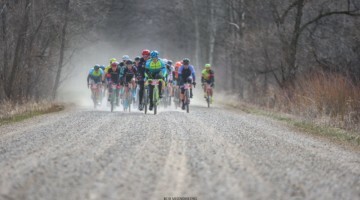 Some other riders of note include Eva Lechner (Clif Pro Team), Maghalie Rochette (Clif Pro Team), Van der Breggen, Annemarie Worst and Ellen Noble (Trek Factory Racing). Langvad kicked off her weekend with a win in the short track race on Friday to earn the coveted top call-up spot. On the Men’s side, Mathieu van der Poel is looking to bounce back after taking a DNF at Nove Mesto. 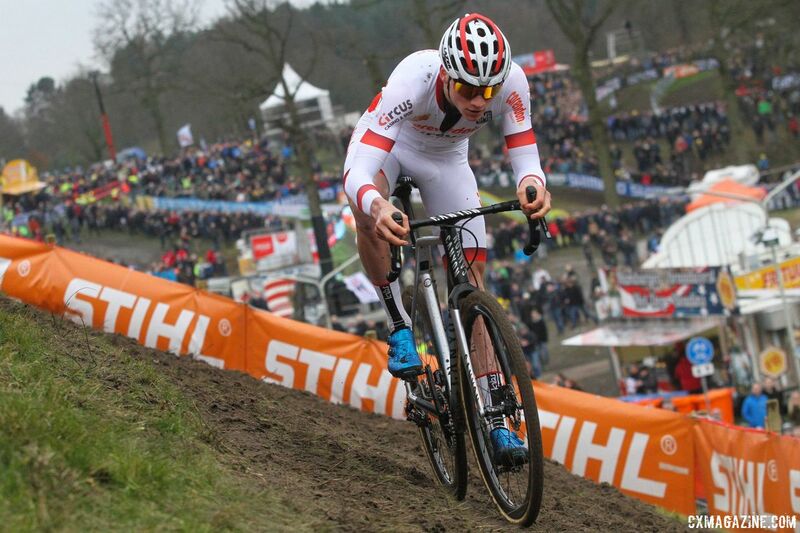 Van der Poel got off to a good start for the weekend by taking the win in the short track race Friday to earn the top call-up spot on Sunday. Replays of the Women’s and Men’s short track races are available from redbull.tv. Canadian Raphael Gagne (Silverback OMX Pro Team) and fan-favorite Tom Meeusen (Corendon-Circus) are among the other names of note racing in the Men’s Elite race in Italy. Sunday’s Elite races will be broadcast on redbull.tv. The Women’s Elite race is at 6:00 a.m. EDT and the Men’s race is at 8:30 a.m. EDT. A bit closer to home, a number of riders will be tackling the seven-day BC Bike Race mountain bike stage race held in southwest British Columbia. Riders race on beautiful Pacific Northwest singletrack and shuttle between stages, sometimes on ferries across the region’s many lakes, bays and inlets. 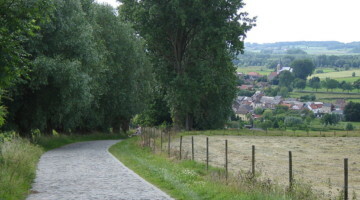 The race website shows the stages and the trails riders get to tackle each day. Last year’s winners of the BC Bike Race both return for 2018. Katerina Nash (Clif Pro Team) won the Women’s overall and Geoff Kabush (Yeti) the Men’s in 2017. 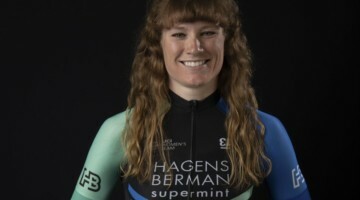 Other riders of note include Emily Shields (Hearts Racing Club), Kerry Werner (Kona), Cory Wallace (Kona), Hannah Finchamp (Clif Pro Team), Kaysee Armstrong (Liv Cycling) and Tim Johnson. You can follow the race on Facebook and find results at bcbikerace.com. The USA Crits series continues this weekend in Arkansas with the Natural State Criterium Series. The 5th race of the 10-race USA Crits Series will be Friday night’s criterium in Bentonville. Races will also be held Saturday in Rogers and Sunday in Springdale. Riders on the start lists for the weekend include Nicole Mertz (The Meteor // Intelligentsia), Kim Chance (Matrix/RBM) and Christina Gokey-Smith (Colavita/Bialetti) for the Women’s race and Skyler Mackey (KCCX Cyclocross Team), Spencer Petrov (CCB Velotooler), Mat Stephens (Bicycles Plus Racing) and Tyler Cloutier (Matrix/RBM) for the Men’s race. Full start lists are available from bikereg.com. A live stream of all three Natural State Criteriums is available via USACrits.tv. A subscription costs $55 for one year or $6/month paid monthly and gets you access to live streams from all 10 2018 USA Crits races.